I am so happy that crab season lasts longer this year. 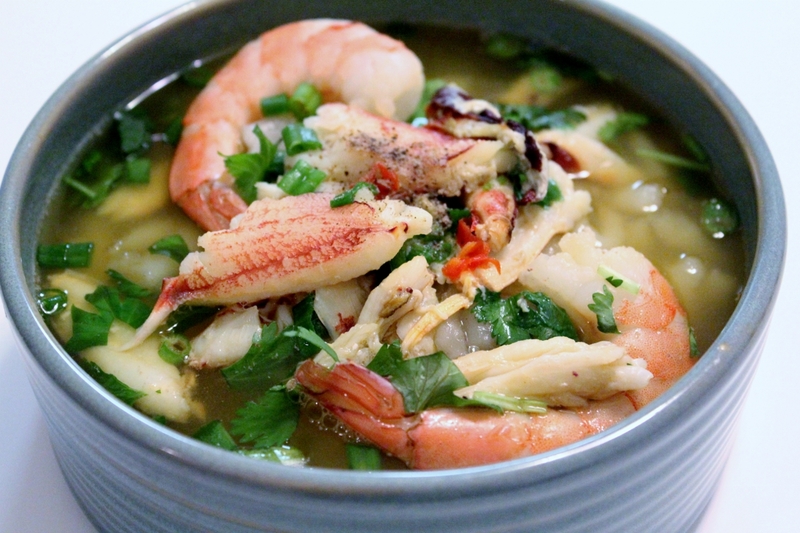 I plan on making “banh canh cua” or Vietnamese fat rice noodle with crab soup. 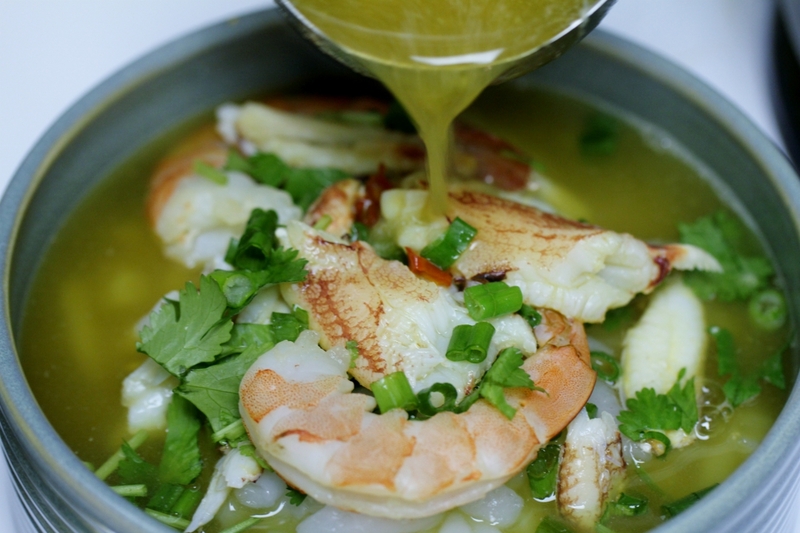 Banh canh cua is one of my favorite soups. There are two versions, pork soup and crab soup. 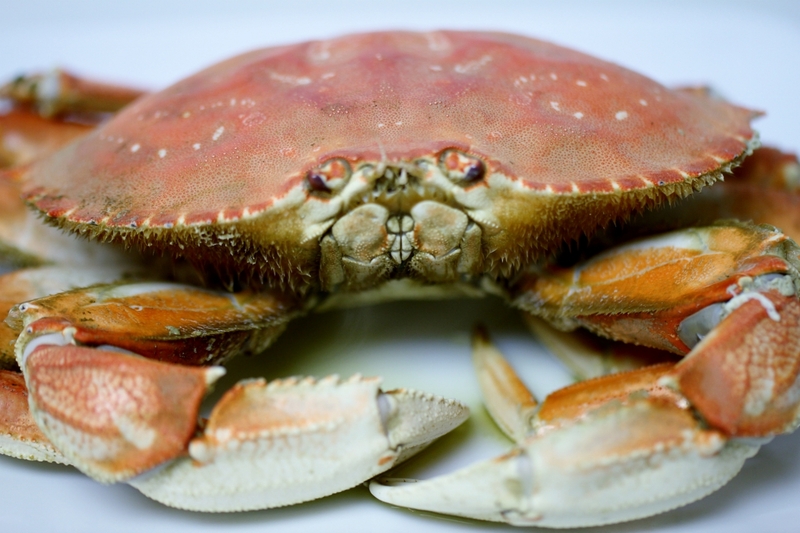 I grew up with both but being a seafood fanatic, I enjoy the crab version much more. The noodles look fat like udon, but are made with rice or tapioca, not wheat. 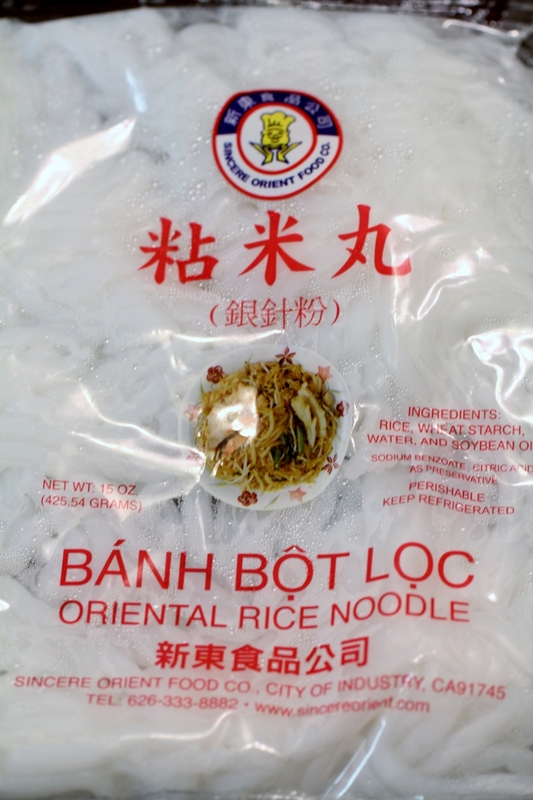 The tapioca noodles are clear after boiling and taste more chewy compared to the rice noodles. This dish brings back fond memories of my pharmacy rotation in Vietnam. My classmates and I would go to Ben Thanh market in Saigon for lunch or dinner and order banh canh from the various food stands. The atmosphere was always lively, great for eating and people watching. I hope you find this soup tasty and comforting! Fill a large stockpot with 3 cups of water and bring to a boil. Place the crabs in the water and steam for 15 minutes. Save the crab stock. Remove the meat from the body and claws, and save the juice from the body. In a separate stockpot, fill 10 cups of water and cook the pork neck bones for 2 hours. Pour the strained the pork stock, 2 cups of crab stock, and juice from the crabs into a separate stockpot. Add fish sauce. Let simmer for 30 minutes and remove any scum at the surface. Add sugar to taste. Boil the rice noodles until semi-clear. Strain and leave the noodles in cold water so they do not expand. When ready to serve, transfer the noodle to a serving bowl, top with crab meat and shrimps and then add soup. Garnish with green onions, cilantro, pepper, and chili pepper. Enjoy!